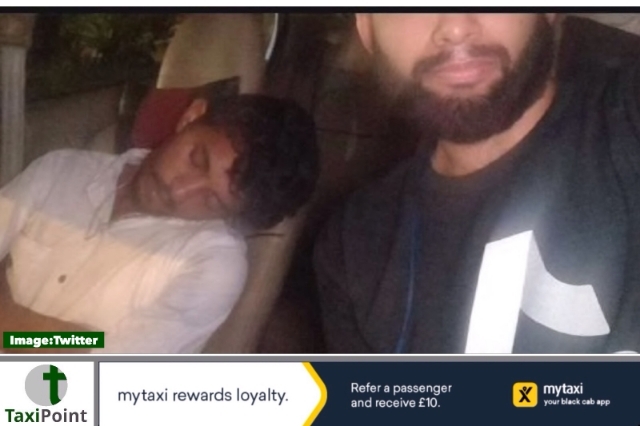 A shocked passenger felt that he was left no choice but to drive himself home in an Uber when his driver arrived completely plastered. 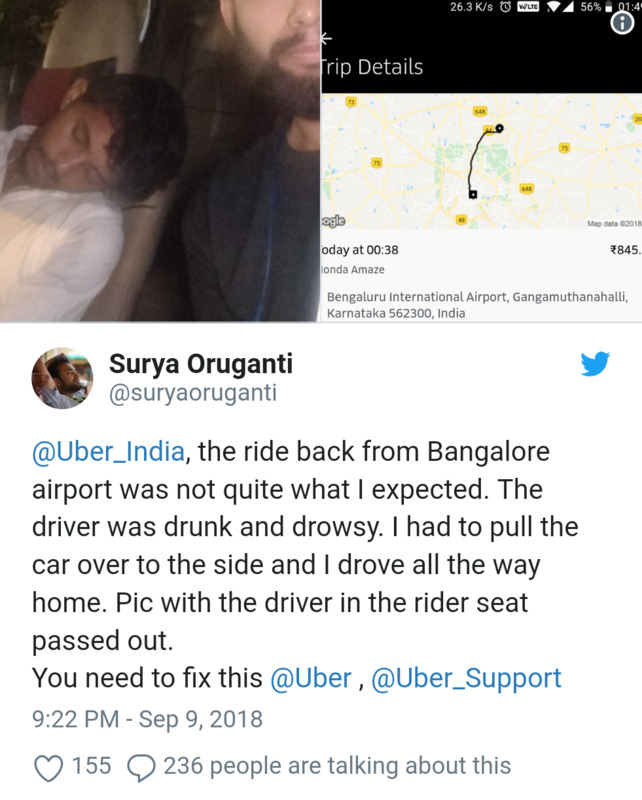 Uber user Surya Oruganti alleged that his Uber driver arrived to pick him up from India's Kempegowda International Airport heavily intoxicated and in no fit state to drive him to his destination. Instead of ordering another Uber or hailing a taxi, Oruganti chose to take matters into his own hands and drive himself to his destination while the drunk driver slept in the passenger seat. Oruganti documented the bizarre string of events on his phone and posted live on his Twitter account. Oruganti contacted Uber for support and tweeted a reaction to their response: "Uber safety team promptly called back about 20 hours later. They said I shouldn't drive a cab because that's a safety issue. And that they'll educate the driver whatever that means and might terminate the driver if there's a recurrence".